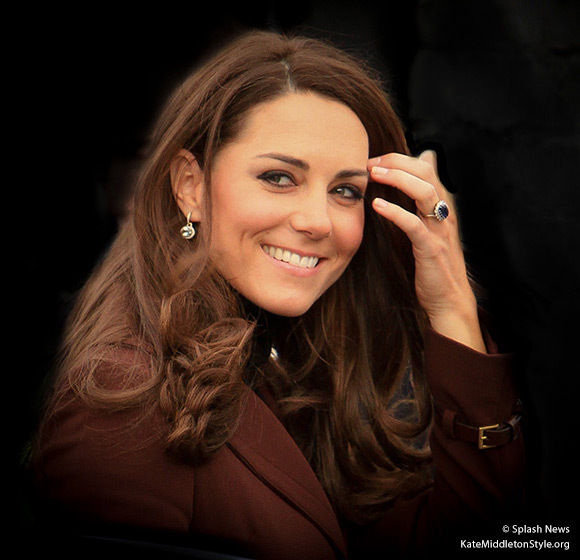 The Duchess of Cambridge (a.k.a. Kate Middleton) has worn her Hobbs London “Celeste coat” on a number of public and private engagements over the last several years. It originally retailed for £369 (roughly $570 USD) before going on sale for $182 (approximately $280). 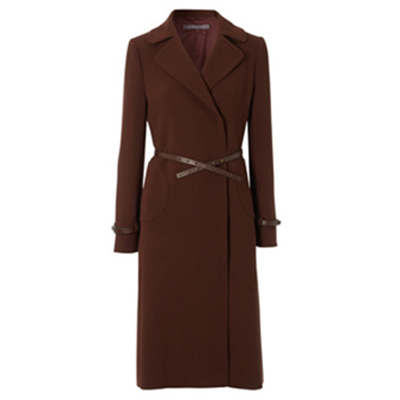 The original coat came with three belts – one around the waist and two around the cuffs. The original belts have press studs while the belts on Kate’s coat have buckles. It appears Kate has purchased three new belts or has had them sourced and made specially to give her coat a unique look. We think that Kate replaced the coat’s original belts with a higher quality, longer lasting leather. The Duchess debuted the coat during a visit to Liverpool on Valentines Day in 2012. 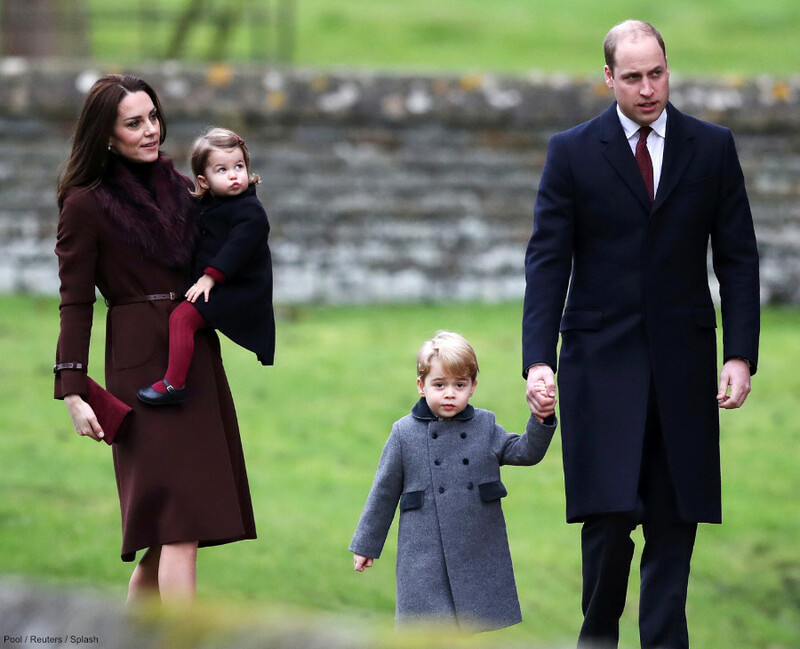 The Duchess then donned the coat again for a service at St Mark’s Church, Englefield on Christmas day 2012. (Sorry, we do not have a photo for this from our agency). In March 2013, Kate wore the coat for a third time during a public engagement in Grimsby. In September 2015, photographers snapped Kate wearing the coat for the fourth time. This time, she was travelling from Balmoral Castle to Cathie Kirk church in Scotland for a morning prayer service. 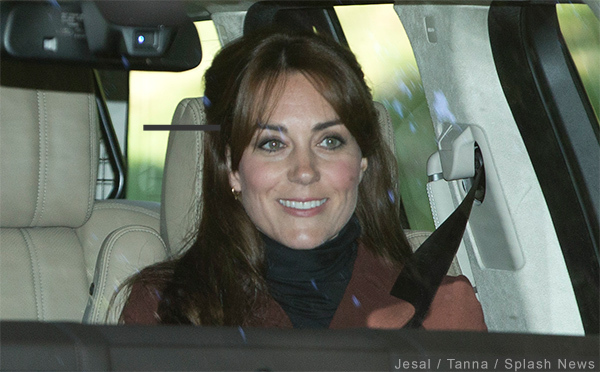 Kate chose the coat for a fifth time at Christmas in December 2016. Kate wore the coat (in public) for the sixth time in August 2017, for a church service at Crathie Kirk in Balmoral. Sadly, the coat is no longer available for purchase at Hobbs. It is from the company’s winter 2011 collection and as far as I know, they have no plans to reissue it. Have you tried checking eBay?